The fascinating view of our Earth from the Astronaut's eye. 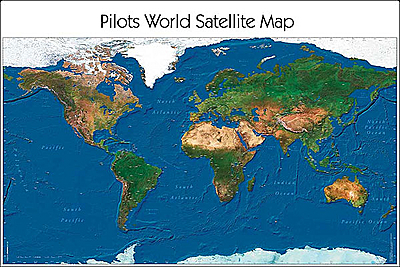 The Pilots World Satellite Wall Map. High-resolution satellite imagery in a photo quality, laminated print, 88cm x 150cm. 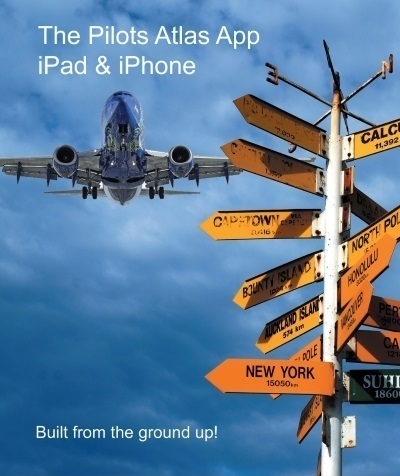 The specialty for Pilots lies in the exact placement of over 550 airports and their ICAO codes. An Airport directory (with ICAO, IATA, Lat. Long., City, Country, Longest runway and airport name) is included with every print.